If you asked people what their favourite plant is in the garden, I’m sure the answer would be lavender. And that comes as no surprise because not many plants can claim so many uses. Lavender gives us so much colour, scent and all year interest. There are different types of lavender but in this article, I’m going to be telling you about how to grow the English variety. How to grow English lavender is very similar to growing other varieties. Other popular types of lavender are the French, Italian, Spanish and Portuguese lavender but the English lavenders are winter hardy and better suited to our colder climate here in the UK. Why should you grow English lavender? Lavender is one of those plants that really have it all. Lavender is evergreen. It will look fantastic when in flower, but will add winter interest and structure to your garden design. Lavender smells amazing! Planting lavender near a seating area or a path will add a lovely scent to your time spent in the garden. Copes very well with drought. Now that our climate seems to be getting warmer, these plants are ideal. They will also forgive you if you forget to water them! Pest and disease resistant. There aren’t many plants that are as tough as a lavender. My slugs and snails don’t seem to like it much and leave it alone. Lavender is hardy. 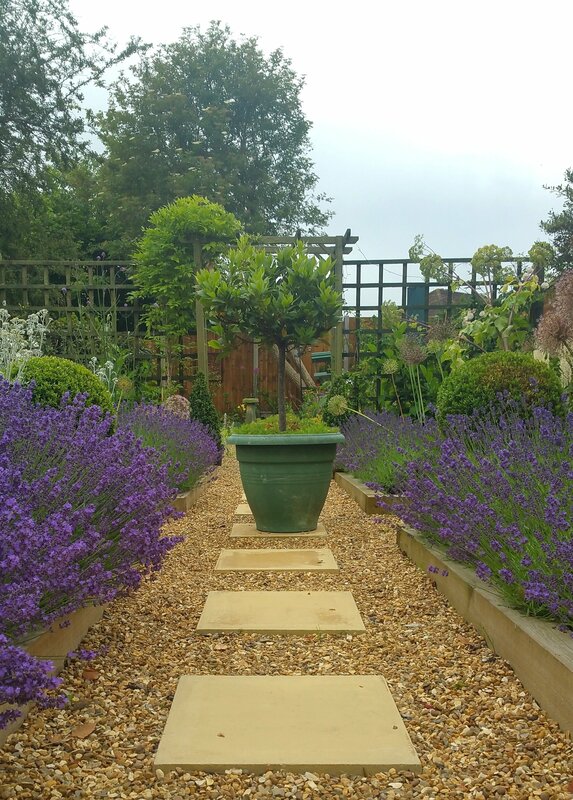 If you have been following our garden make-over, you will know that we planted lavender all along one of our paths. It survived a very long and harsh winter last year and that means we don’t have to worry about protecting the plants. Any plant that makes gardening easier is worth growing! Lavender is easy to look after. Apart from pruning it after flowering, we don’t do anything to our lavender and it is thriving and rewarding us with colour and scent. Easy gardening! The flowers are fantastic. Apart from the colour a lavender plant gives to your garden, the flowers are also beautifully scented. They also provide you with a relatively long flowering season from late spring to late summer. Lavender flowers attract bees and butterflies. We know that pollinating insects are very important in a garden. 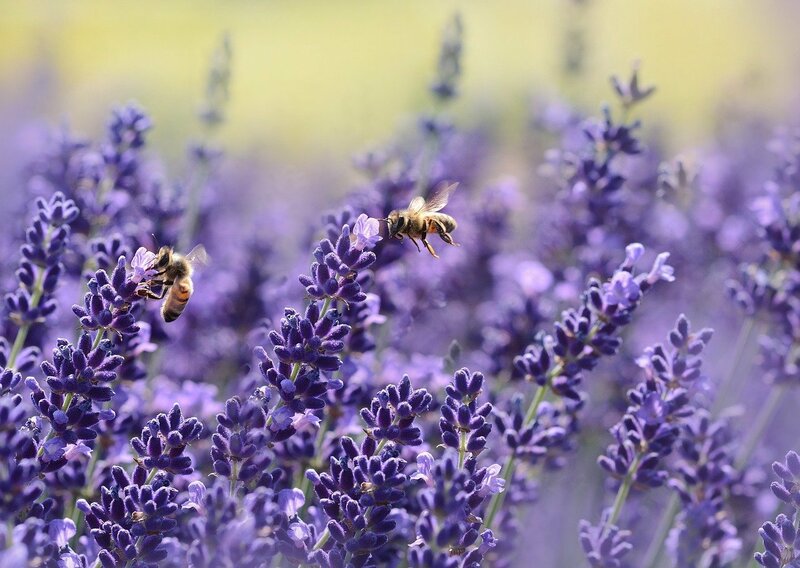 Lavender is a fantastic plant to have if you are keen to attract them to your garden and ensure that your fruit, vegetables and flowers are pollinated. Easy to propagate. Who doesn’t love free plants? Lavender is easily propagated from cuttings. Easily grown in pots or containers. This is especially handy for small gardens, balconies or terraces or if your soil is not suitable. Where does lavender grow best? 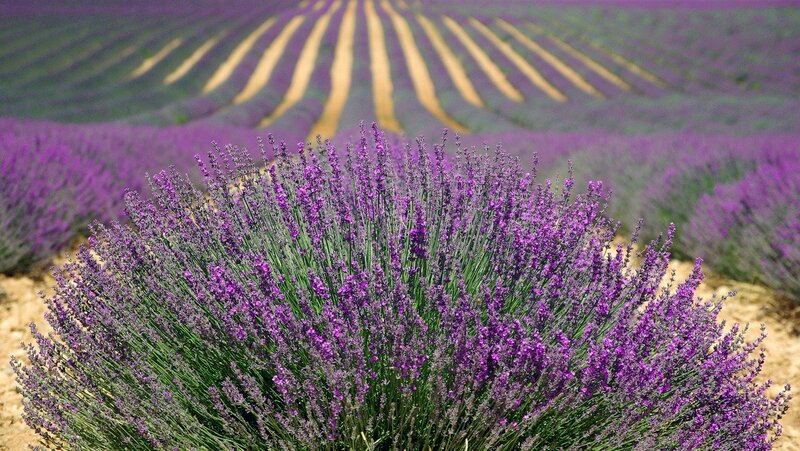 Lavender is a Mediterranean plant so it thrives in full sun and well-drained soil. The best time to plant lavender is in spring, when the soil is warming up, but you can also plant them during the year as long as the soil is not too cold and wet. 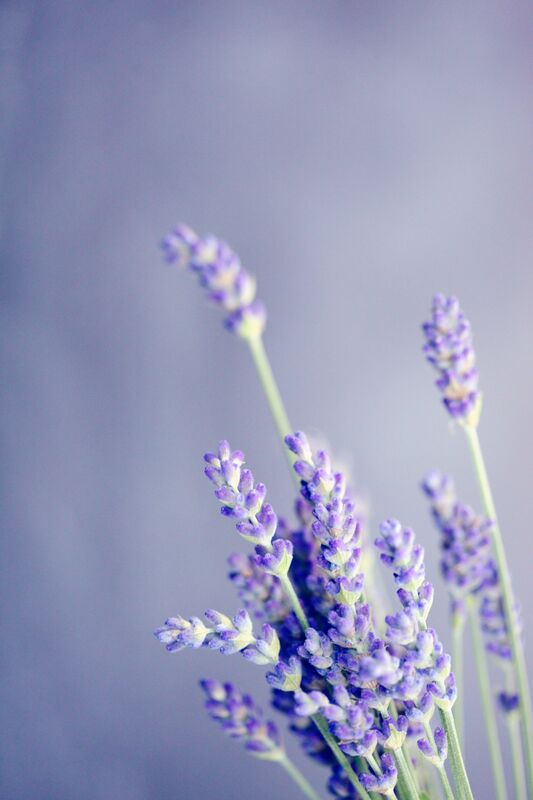 Lavender doesn’t like soggy or wet soil and it’s a great plant for a dry spot, for example, against a sunny wall or fence, where it is sheltered from rain. Because lavender likes well-drained soil, it loves chalky or sandy soil. If you have heavy clay soil, you can add sand or grit, mix it in well, and this should provide your plants with the drainage they need. Our lavender is doing really well, and we mixed in sand and gravel into our clay soil. If you have a shady and wet garden, you can still grow lavender in a pot or in containers. Make sure the pot or container is not too small as a larger pot holds water and nutrients better. Ideally it should be 30-40cm (1ft-16in) diameter. Even though lavender likes it dry, a small pot could dry out too much and the plant would not thrive. You can then move your pot around into a sunnier spot during spring and summer and you can also protect it by placing it in a cold greenhouse in winter. Lavender that is planted into the ground can be protected by mulching with organic material to keep the worst of the frost off the roots. 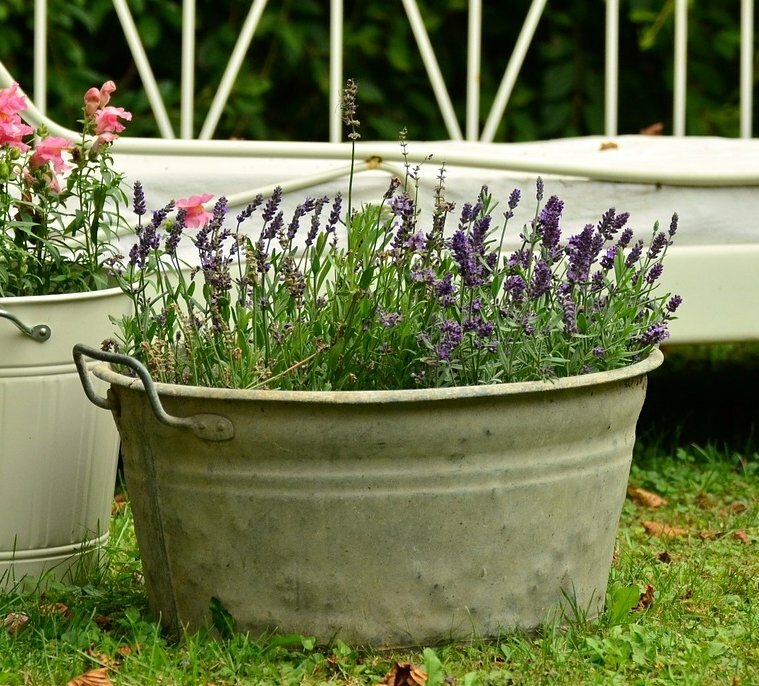 By growing lavender in pots and containers, you can grow a wider range of half-hardy plants, as it is easier to move the pots to a more sheltered place. The majority of our lavender is planted in the ground, edging a path, and it has survived the very cold and very wet winter without any special treatment. The main job is to protect the roots from water logging and frost. When I started gardening, all the advice I got from different sources was very confusing. The most common advice is that you should never cut into the old wood. However, I find that with the English lavenders, cutting into the old wood, is actually a way to keep its shape and regenerate the plant. You can cut into the wood but no further than the small green shoots at the bottom of the stem. I know it sounds quite scary when everybody tells you not to do this, but if you have a very woody, overgrown plant that looks well past its best, you have nothing to lose and give it a try. When to prune is also a debatable issue. I was told to cut off the flowers just after flowering in August, but mine were still in bloom and attracting lots of bees so I left it till much later. One of our local garden centres advised me to cut them down in October, regardless of whether it was still flowering or not. I think that it really depends on what you want to achieve in your garden. If your lavender is flowering happily and the bees and butterflies are having a lovely time with them, wait to cut it down until the flowers have dried. If however, you want your garden to look tidy or you want to harvest the flowers, then by all means cut it down in August or whenever the plant is starting to look past its best. The easiest way I found is to grab a handful of flowers and cut them off right at the base where the stalks meet the leaves. If you want to prune the plant into a better shape, cut further down. I would advise you to take a knee protector into the garden to do this, I was on my knees for quite some time cutting all our plants and I felt very old afterwards! English lavender, or Lavandula Angustifolia, to give it its proper name, isn’t native to England as the name suggests. It is a Mediterranean shrub or plant but lends itself very well to our climate and you wouldn’t think of an English country garden without lavender. There are 39 species and hundreds of varieties of lavender, so I’m going to mention some that are suitable for our climate (H5 (hardy – cold winter) to H2 (tender – cool or frost-free greenhouse). Angustifolia Hidcote. My personal favourite as its hardy, long flowering, tough as old boots and can be cut to a nice shape when not in flower. Angustifolia Munstead. Another favourite, taller than Hidcote so ideal for hedges. The flowers are a lighter purple and the leaves are bright green rather than the more silvery colour of other lavenders. Lavandula Intermedia, also known as Lavandin or Cottage Garden Lavender. Often used at the back of a border to provide height and are the most widely grown group of lavenders due to their high oil levels. They are used for fragrance production and the oil contains a camphorous note. Lavandula Angustifolia Imperial Gem, similar to Hidcote but more silvery foliage. Angustifolia Rosea, pink flowering lavender, perfect to mix with purple or white varieties. Lavender Angustifolia Peter Pan, stunning dark purple flowers, would make a beautiful hedge. Lavandula Silver Sands, probably the most silvery foliage of all lavenders. The flower heads are long and pointed, not often seen in gardens. 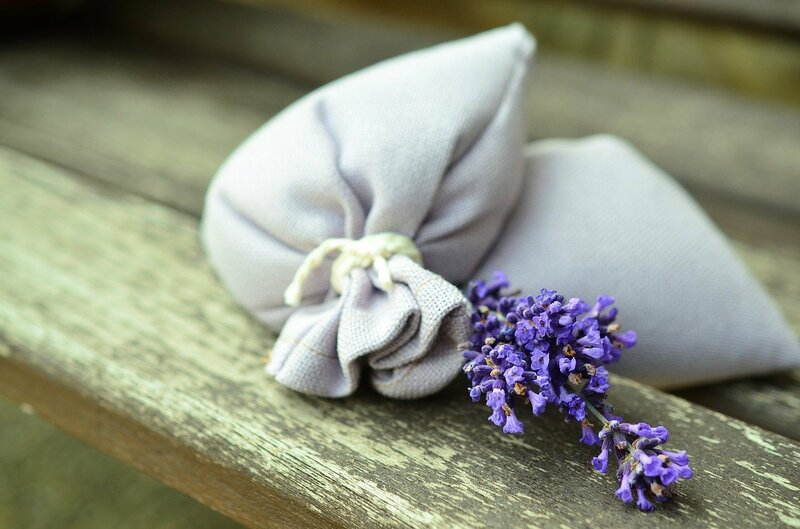 Which is the most fragrant English lavender? I’m pleased to say that Hidcote and Munstead are among the most fragrant English lavenders, because they are two of my favourites and I grow them in my garden. Also on the list are Folgate, with iridescent violet blooms. Another one is Royal Velvet, with velvety dark royal blue blooms, excellent for cut flowers. 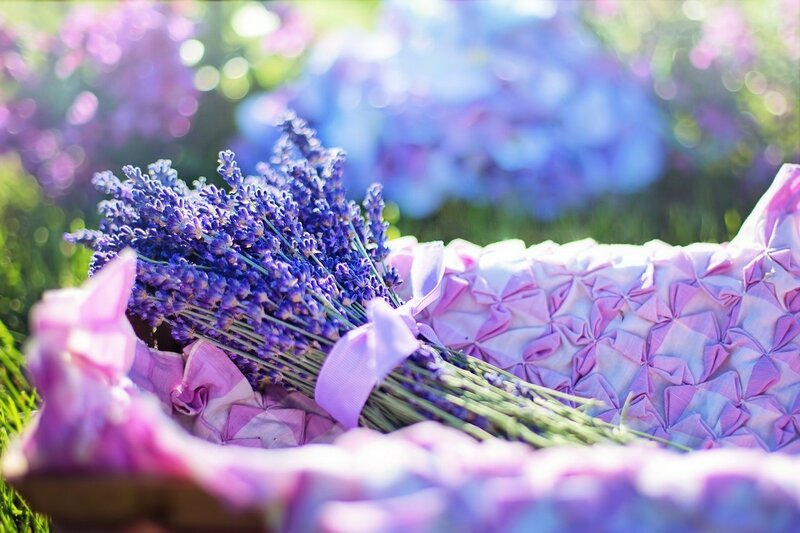 Cut lavender flowers can be brought indoors to fill any room with their incredible scent and beautiful colours. The long flower stems look stunning in a vase on their own, or mixed in with other flowers like roses, lilacs or even rosemary. You can dry the flowers and place them in a small linen or organza pouch. Put them in your linen cupboard which will make your linen and towels smell wonderful and also repel any moths. You can make lavender oil, which I will probably have to write a separate blog about. The uses for this essential oil are so varied and extensive, that, yes… it needs a blog on its own. 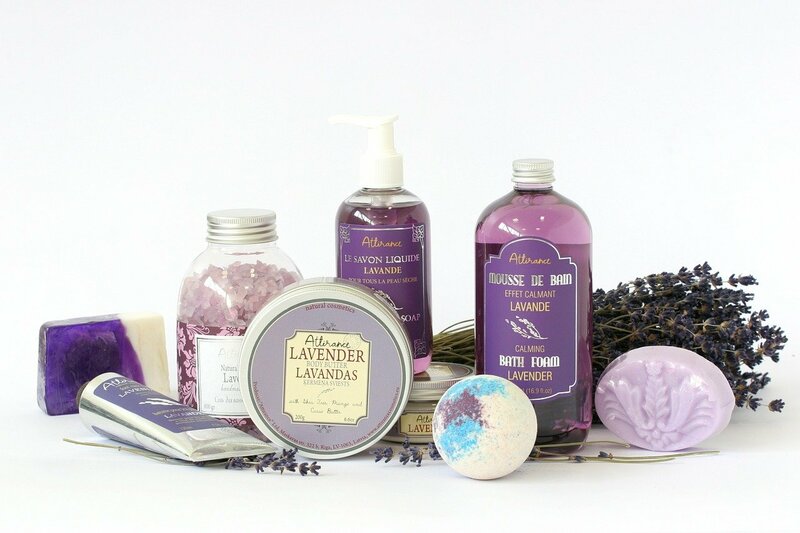 If you haven’t got lavender oil, you can use dried lavender flowers (or even fresh) to add them to your bath water for a very relaxing bathing experience. Smelling lavender is said to help with headaches. I haven’t tried this yet, but I’ll let you know if this works (or not) next time I have a headache. You can infuse sugar with lavender flowers to use in baking. I’m sure there are so many more uses for your lavender. But even if you don’t use it for any of these things, it’s such a beautiful plant to have anyway. Have I convinced you to plant lavender? I really can’t praise this plant enough! If you plant it in the right place with the right soil, and choose the right variety, this is really a tough and gorgeous plant that should have a place in any garden. Let me know what you think or if you have any questions in the comments. I will try my best to help out. I’m so glad to have found your blog! We had to relocate from sunny Las Vegas, (where I had flowers and hummingbirds all year), to Colorado. We just made it through the first winter and it was hard for us. My goal is to follow your example of creating a space that makes winter attractive. You’ve done such a great job, and thank you very much for sharing. This will greatly enrich my life!! I’m so pleased that my blog can be of help to you Barbara! Please don’t hesitate to stay in touch and ask any questions, if I can help with any advice I will! Must be quite a big change for you and I hope you have settled in well in your new home. Thank you for the excellent article on Lavender. I potted my first experiment last year and met with limited success. I’m trying again based on your information. I wasn’t aware that lavender repels moths – always good to know. Thank you very much for your comment! I’m glad you’re trying again, sometimes it takes a few tries to get things right with plants. It also helps to grow a tougher variety, like Munstead or Hidcote. Good luck and hope you get lots of lovely blooms.